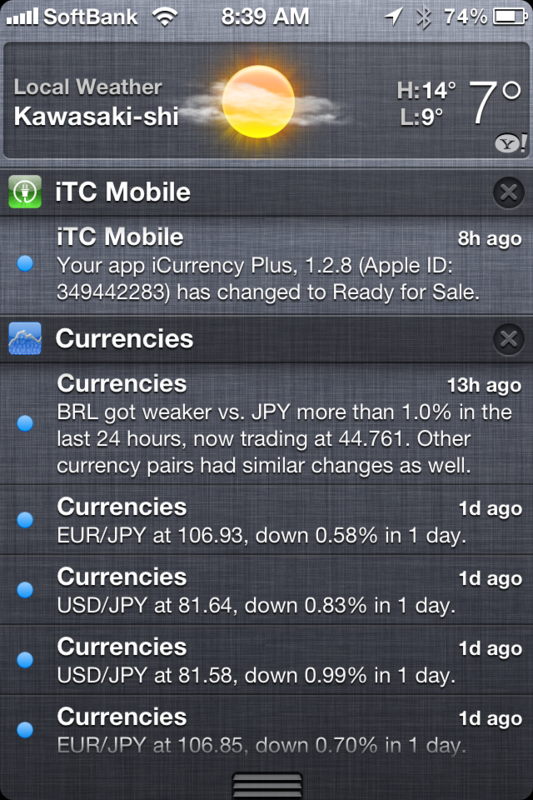 We updated iCurrency Plus to v1.2.8, and this update is mandatory. In this version we are migrating to a new way of communicating to our servers. We are not sure if you have heard, but Apple is requesting all developers to stop using UDID (Unique Device Identifier). This ID is commonly used in applications that require communicating to servers, in order to properly identify you. We are using this version to migrate to a new Application ID. Current version 1.2.7 will stop working soon, announcements will be sent once the date is finalized. Then we will release v1.2.8 were we are completely deprecating the use of UDID. We are using this opportunity to do some bug fixes as well, but besides that the migration is 100% transparent and there are no changes to the interface.